Over the past few weeks when I shop at Winn-Dixie, I noticed the credit card readers were swapped out, and now I know why. They swapped out all the credit card readers so they can support NFC payments through people’s smartphones. 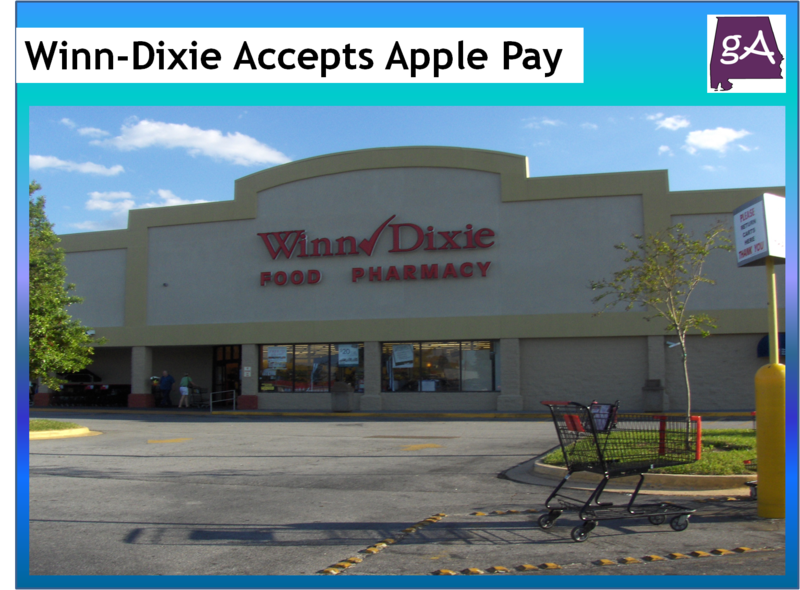 And starting now, Winn-Dixie, Harvey’s, and Bi-Lo stores are now accepting Apple Pay. And since they accept NFC payments now, I hope they will accept Google Wallet soon! Winn-Dixie is one of the first grocers in the southeast to accept NFC payments! And maybe the only one for a while, since other grocery stores like Publix and Wal-Mart, have kept the NFC payments turned off so they can start CurrentC next year. So, if you want to pay with a safe and secure way, go to Winn-Dixie! Hopefully many other stores will stop this NFC fight, and start accepting Apple Pay and Google Wallet!